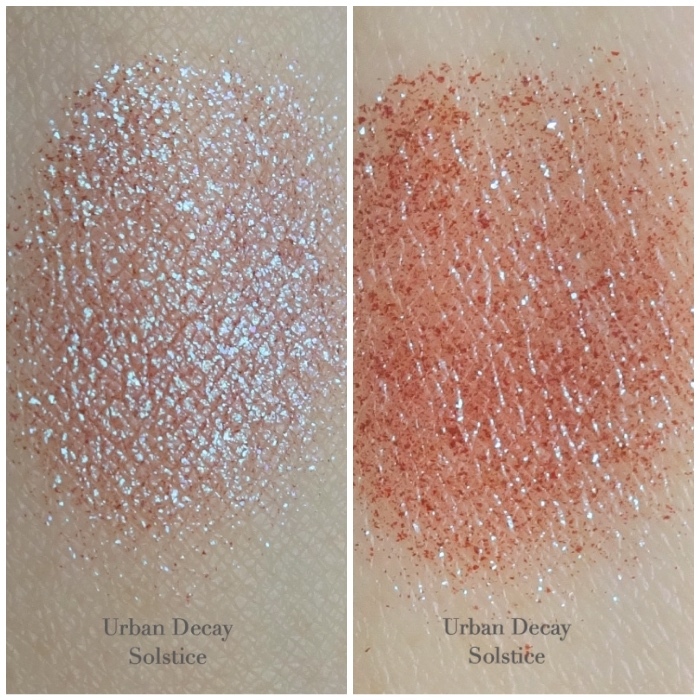 Diamond Dog (reviewed) is still my favorite, but Solstice must be the most fascinating shade from the Urban Decay Moondust range ($21 at Sephora and Ulta). 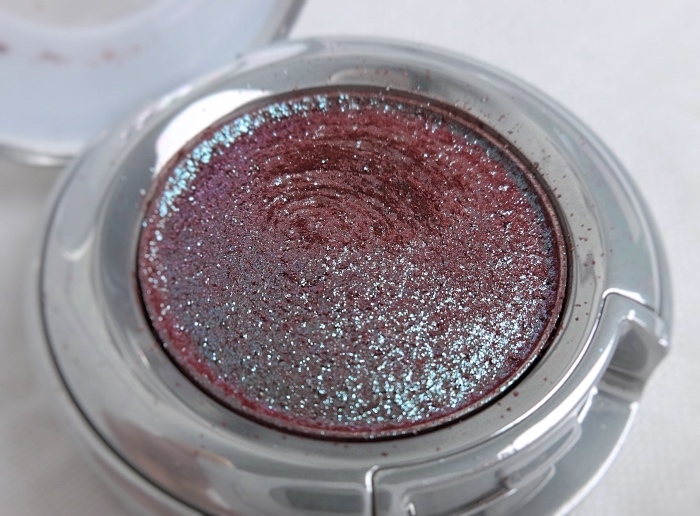 Solstice is very sparkly as all Moondust eyeshadows are but it also color-shifts quite dramatically. It seems the most popular one, too. This particular shade was out of stock both times when I made a trip to the local Sephora so I ended up ordering it online. Solstice is a reddish pink with cool-toned green glitters densely packed in. The base and the micro glitters play equal parts that you either see intense green glitters or a jewel tone pink depending on the angle or the way light hits it. The texture is kind of wet, so despite the few inevitable fallouts, the color goes on and blends in smoothly. More importantly, it stays on if worn over a good eyeshadow primer. It is definitely eye-catching but doesn't look like child's glitter play, either. 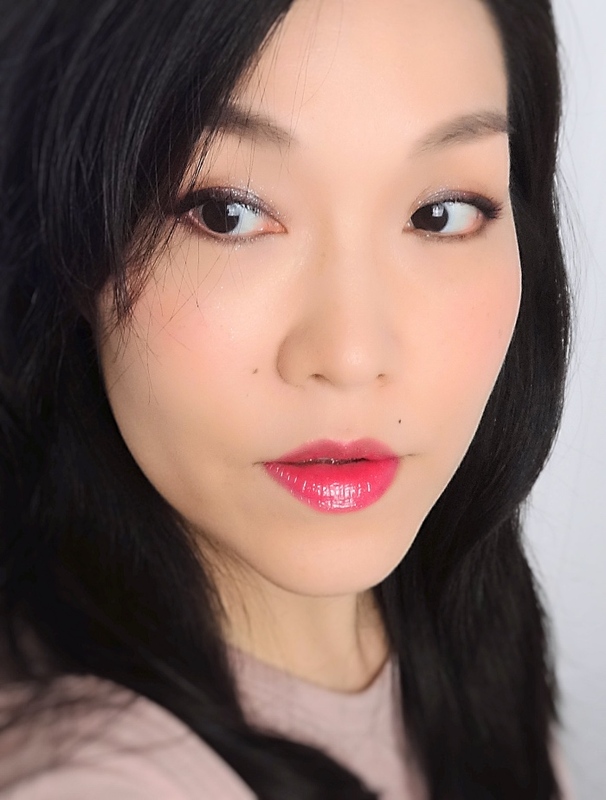 I like that I can create an impressive eye makeup look by just using Solstice. Yes, I still needed an eyeliner and mascara, but here I basically rubbed the color on my lids and blended with my fingers. Apparently, my SO thinks "this eyeshadow thing is very cool", and I agree with him. Here is an overall look. You can find more details about this look here. Solstice is a unique, fun, and beautiful color with nice dramatic effects. I find this color quite enjoyable although I usually shy away from eyeshadows with green hues. I didn't like the chunky plastic case though so I bought a MAC Pro Palette X2 and put Solstice and Diamond Dog in. The pans fit perfectly in the case. I even brought this duo to my recent work trip along the NARS Quai des brumes (reviewed). Have you tried any single from the Urban Decay Moondust eyeshadow range or The Moondust palette? 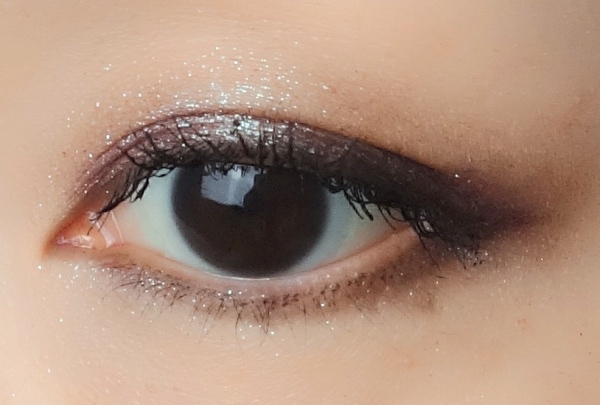 Do you find this particular glitter formulation wearable? I love that eye look, it's beautiful! It has a lot of dimension for a one shadow created look. 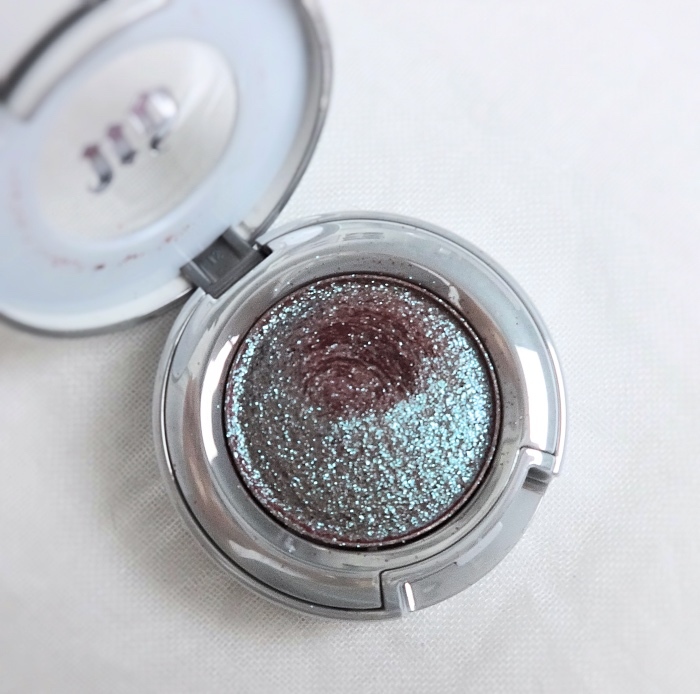 This sort of glittery duochrome is one of my favorite kind of shadows to collect! It looks so funky in the container but works beautifully on you. What a surprising and fun look! I remember I had one but I gave it away. It's way too glittery for me and lately, I've been favoring matte / satin texture. 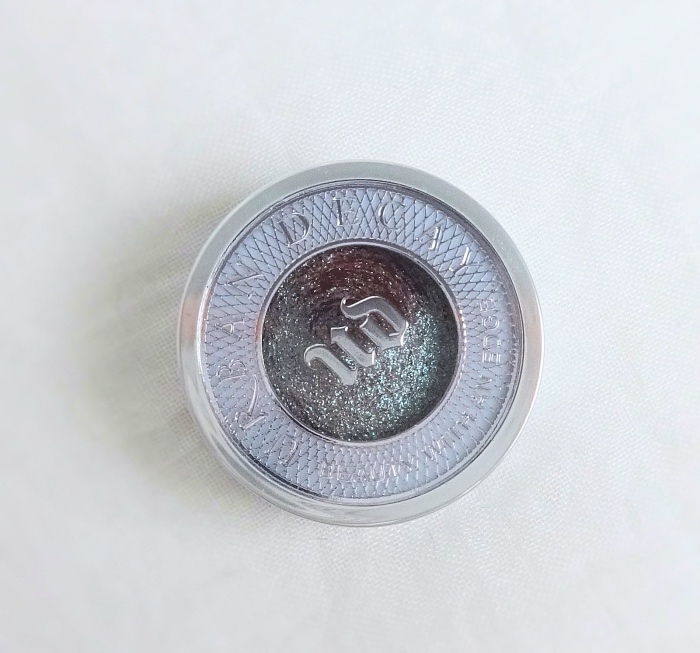 I used to like shimmers and glitters... which reminds me, I haven't checked out UD for a while now!